The Queensland government and the Animals Management (Cats & Dogs) Act 2008 demand that all owners of Dangerous Dogs, Menacing Dogs and Restricted Breed Dogs comply with the Act’s requirements or face penalties for each offense. The purpose of this act is to regulate these types of dogs and to ensure that the public is safe from any attacks or possibilities of attacks. 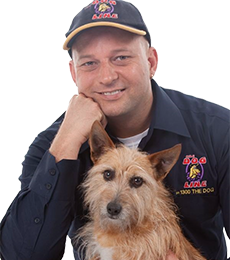 Regulated Dogs in Queensland - What dogs are included? Dangerous Dogs in Queensland - How are they declared? Menacing Dogs in Queensland - Do I have a menacing dog? Restricted Dogs in Queensland - What dogs are restricted? Regulated Dog ID Tag - Do I need one? Regulated Dog Warning Signs - Which one do I need? Proper Enclosure Requirements - What do I need to have? The Animals Management (Cats & Dogs) Act 2008 in Queensland identifies 3 types of dogs and calls them Regulated Dogs. If a dog owner in Queensland owns a dog that has been declared Dangerous, Menacing or fits the descriptions of a Restricted breed, they are required by law to comply with the Act’s requirements or face penalties. Dogs in Queensland that have been declared Dangerous are due to a serious attack or an act that has caused fear to a person or animal. 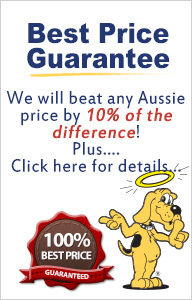 This applies to all dogs in Queensland according to the Act despite the dog’s breed or size. A menacing dog declaration in Queensland applies to all dogs no matter what size of breed. A declaration of a dog to be a menacing dog may only be made if the dog has attacked or acted in a way that has caused fear to a person or animal in a non-serious manner. How do QLD dog owners comply with the Act? The Act requires a number of requirements from the owners of declared dangerous dogs, declared menacing dogs and restricted dogs or face large fines and other penalties. We have listed these main requirements for dog owners with such dogs to guide them through the process easily and avoid any penalties. The Animals Management (Cats & Dogs) Act 2008 in Queensland required 3 different warning signs depending on what type of dog a dog owner has. The warning sign must be placed at or near each entrance to the relevant place where the dog is kept to notify the public of its presence. The Animal Management (Cats and Dogs) Act 2008 in Queensland requires that all regulated dogs which includes dangerous dogs, menacing dogs and restricted dogs must wear a Dog Muzzle at all times and must be on leash. The person handling the dog must not have more than 1 dog under his control at the same time. An exception would be if the dog is in an enclosed part of a vehicle and contained and restrained in a way that prevents the dog or any part of it from being outside of the enclosed part of the vehicle. The requirements below are still part of the above requirements. A dog owner with a dangerous, menacing or a restricted dog must comply with each of these requirements or face large fines or penalties. •	The regulated dog must be microchipped. •	Regulated dogs must be desexed. •	A regulated dog must be tattooed after desexing. •	The regulated dog must not be sold, given or transferred to another owner. •	A regulated dog must not be abandoned unless the owner or responsible person has a reasonable excuse. •	Breeding dangerous or restricted dogs is prohibited. ---- If the owner obtains another restricted dog permit for a restricted dog. 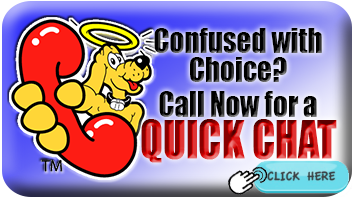 The information on this page is meant to be a guide for dog owners in Queensland. For more details, please contact your local council.